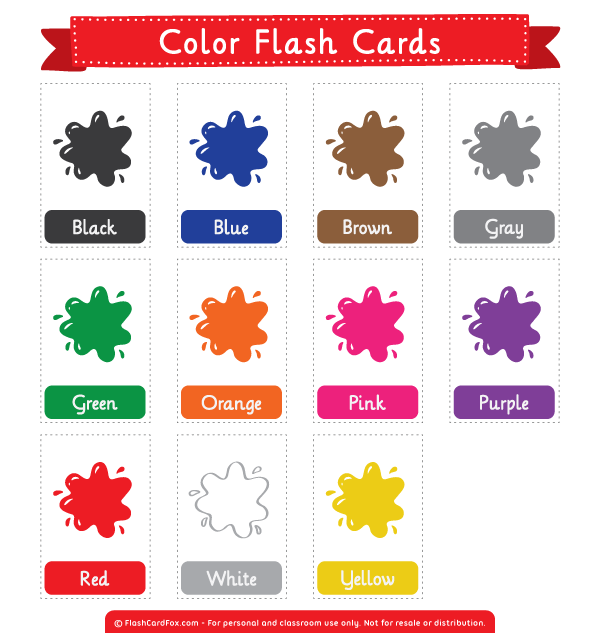 Common colors depicted with splashes of paint. Names of each color are included as text. These are good for kids or anyone learning English as a second language (ESL).